Just like Windows (PC) systems use an .exe file for installing software, Android does the same. Android Operating system supports .apk file. An APK file is a Android Application Package.It allows you to bypass carriers to get the latest Google updates, which can take a a frustrating amount of time to arrive via an over-the-air update from your network. And if your Android device lacks access to the Google Play Store, APK files may be your only option for installing apps on your device. How to install an APK file? There are many sources of APK files through out the web, but be sure to choose a site you trust. Some APK files may contain malicious software (malware) which could compromise your android mobiles safety and security. It is best to be cautious before downloading or installing any app from outside of the Play Store. Generally speaking, APK files found on sites like APK Mirror should be safer to download than from elsewhere, but read some reviews and user comments before downloading or installing an APK. First,you must find an APK file you want.Do some research for an APK file.After the research on APK file.Select and download one that suits your needs.Place the APK file in an easy-to-find space on your computer (like your desktop). Before you can install it on your phone you will need to make sure that third-party mobile apps are allowed on your device. Go to Menu > Settings > Security > and check unknown sources to allow your phone to install mobile apps from sources other than the Google Play Store. If you like, you can also download an mobile app installer like ES File Explorer (click the link below) so you can easily find files on your Android device. Once you've downloaded the APK file on your computer, connect your device to it. At this point, you may be asked if you want to charge your phone or connect it as a 'media device.' Choose Media device. Then, find your phone's folder on your computer. It will be in 'My Computer' or 'Computer' on Windows (PC). 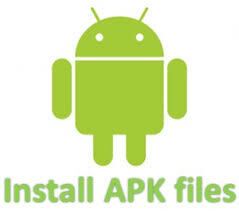 Then, copy the APK file into a folder of your choice in your Android smartphone. You will now be able to search for the file location in the My files folder of your device. Find the APK file, tap it, then hit Install. And now you're done, congratulations, you have your app. Just open it up from your smartphone and make sure it works properly. If it doesn't, repeat the process with a different APK file. You may have to try a different APK site. How to install APK from your smart phone ? The only way to download mobile app outside google play store.